Posted February 9th, 2013 by alexa & filed under Families. 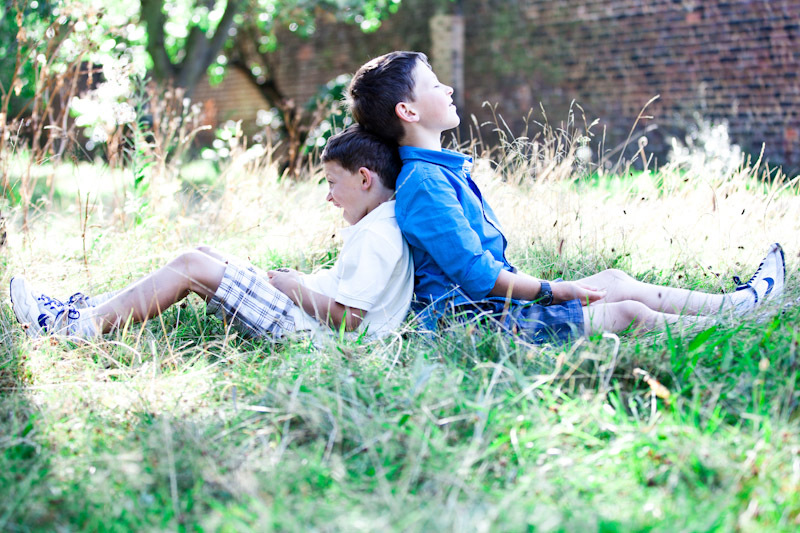 As a London family photographer I love the variety of my work. If possible I prefer to do photography shoots outdoors and make use of nature’s different seasons and backdrops. 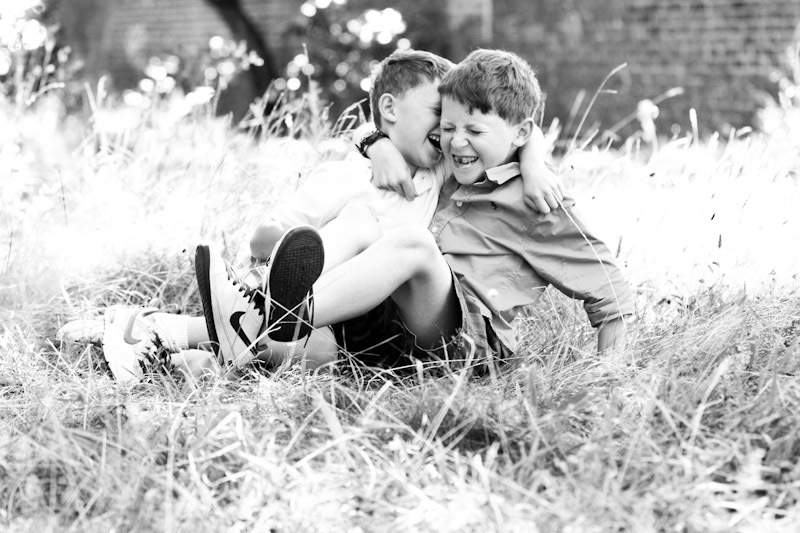 As the weather has taken a cold turn again it was lovely to remember this fun family shoot. It took place in London on a wonderfully warm late summer’s day in September. The two boys were such good fun and had a great time exploring the park. They spent most of their time running around and climbing trees. 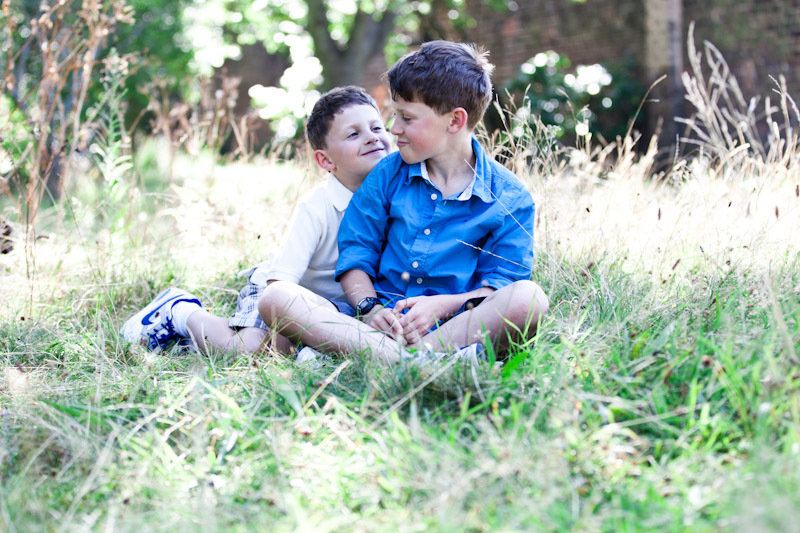 But my favourite images from this family shoot were taken in one place behind the walled the garden in Fulham Palace. 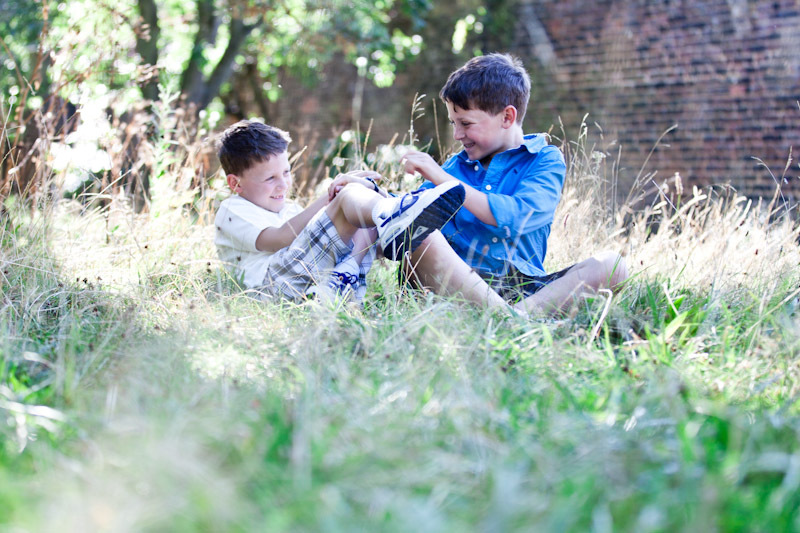 The the boys amused themselves in the long grass and found lots to laugh about while I clicked away. I like to get a lot of variety into all of my family photography sessions. So if we’re in a park we’ll move around quite a bit and use different backgrounds for the images. But sometimes we find a spot that really works in every way. If this happens I’ll spend longer in this particular location. 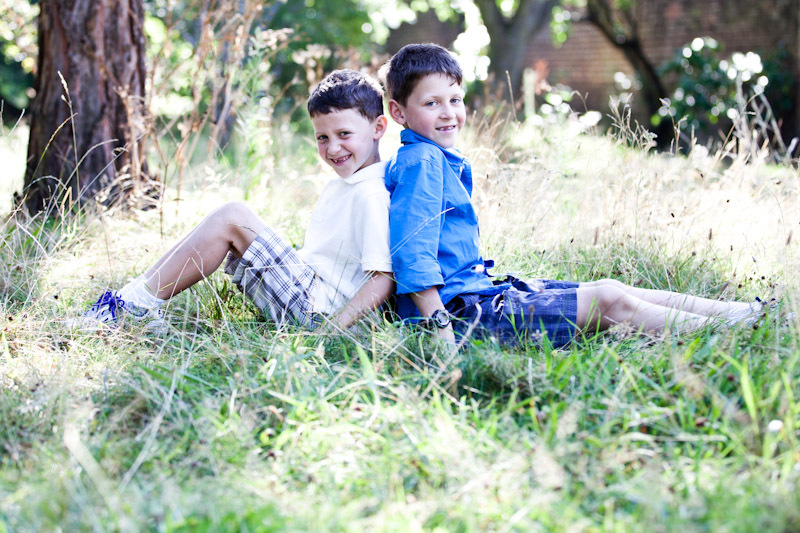 In this photo shoot I loved this setting in the long grass, with the trees, brick wall and beautiful light behind them. It’s a very quiet part of Fulham Palace, just outside the walled garden, so there was nobody else there, which is always an advantage. 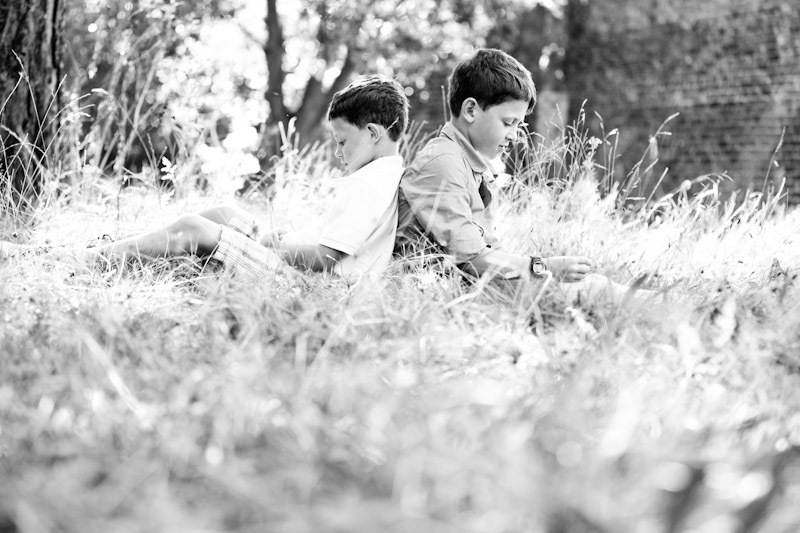 The boys sat down in the long grass and were so happy playing there and telling each jokes. I clicked away, occasionally asking them to look my way, but most of the time just letting the action unfold. This is my favourite way to photograph families. I particularly liked it when they started play fighting. I’m not sure their parents thought it was appropriate but when I assured them they’d make great images they let them carry on! 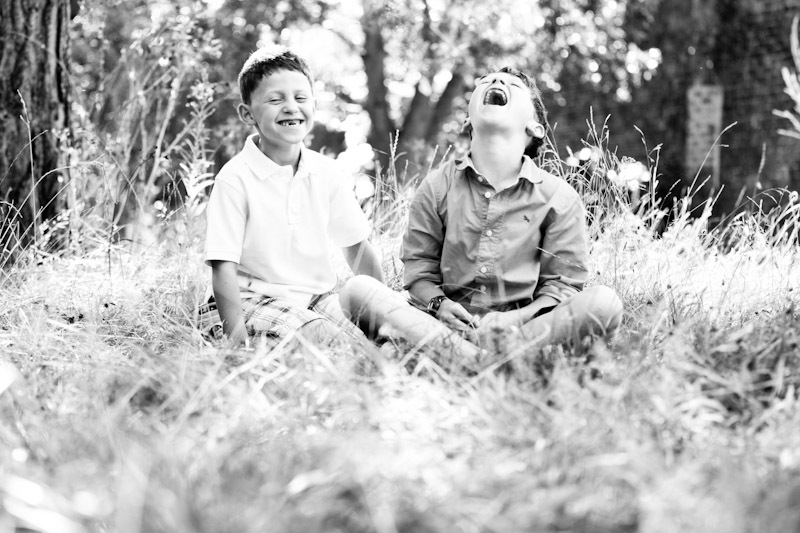 I had such a fun time on this family photo session and was over the moon to hear that the parents loved the images. They also wanted to order a storyboard frame to house seven of the images. It’s such a great way to present images and tell the story of the day. 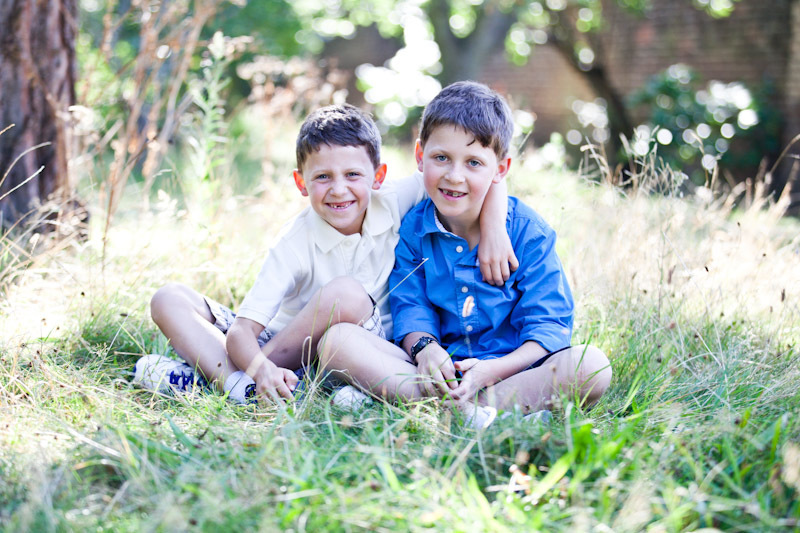 I hope you enjoy these children’s portrait photographs taken in London.